Interstate Paper Industries has begun producing jumbo tissue rolls from recycled fibers in its recently completed deinking plant in Sadat City, Egypt. In line with Interstate Paper Industries sustainability efforts, the Egyptian manufacturer of jumbo tissue rolls began production in the new deinking plant in December 2010. The plant facilitates recycling efforts and cuts down waste. Recycled pulp, also called deinked pulp, is used as raw material in paper making. 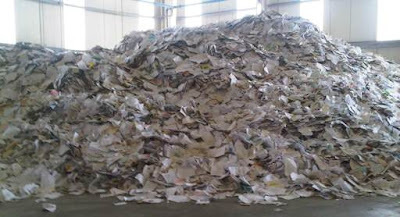 During deinking, recycled paper is processed by chemicals that remove printing inks and other unwanted elements and free paper fibers, resulting in deinked pulp. Many newsprint, toilet paper and facial tissue grades commonly contain 100% deinked pulp. Furthermore, deinked pulp makes up a substantial proportion of the furnish of many other grades, such as writing papers for office and home use or lightweight coated papers for offset and printing. "By using deinked pulp, Interstate Paper Industries will be adding a considerable range of new products to its production portfolio, thus serving new customers and markets." 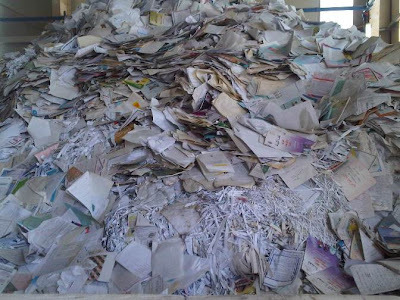 Interstate Paper Industries works with the Egyptian community by purchasing and recycling waste paper from the local market in Cairo and Upper Egypt. In 2011, the tissue mill projects it will purchase 24,000 tons of waste. Interstate Paper Industries manufactures virgin and recycled jumbo tissue rolls for tissue converters of away-from-home tissue (AFH), household tissue, and personal care hygiene disposables in Europe, the Middle East and Africa. 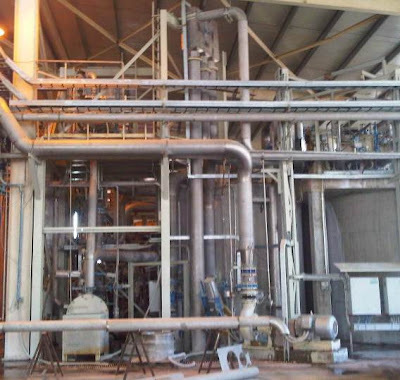 As a leading 'green' tissue mill in the Middle East and North Africa, Interstate Paper Industries takes many environmentally friendly initiatives, such as using fossil-fuel efficient equipment to minimize harmful emissions and consuming less water and power. The jumbo tissue roll manufacturer recycles plant waste water and solid waste. Interstate Paper Industries is a member of INDEVCO Paper Making, a division of INDEVCO Group, the ‘Local Multinational of the Middle East’.